360° evaluation or multisource feedback is a method of evaluating employees using multiple evaluators inside the organization and outside the organization. Evaluators from inside the organization are chosen from different hierarchical and functional positions in relation with the person evaluated. Feedback is anonymous. 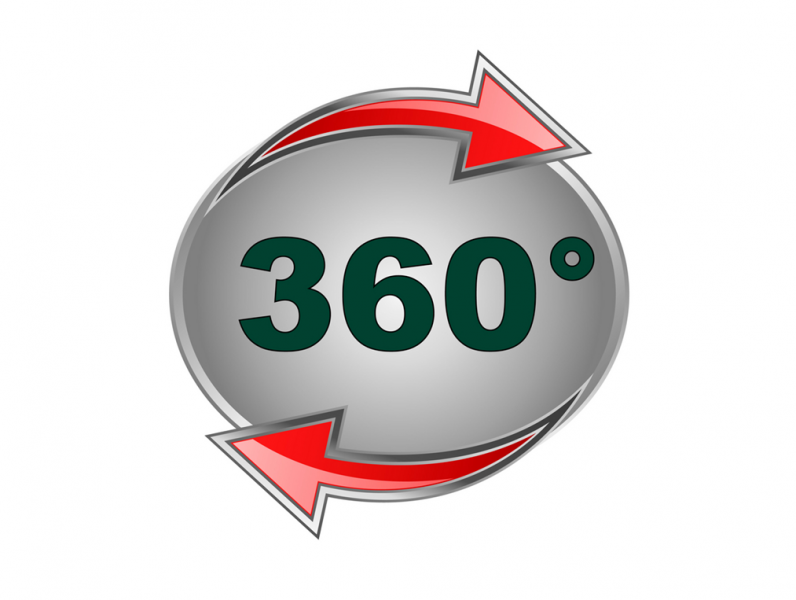 360 ° feedback is a widely used because multisource feedback results are more relevant than other methods and offers not only a picture of strengths and development areas in order to increase business efficiency, but offers a diagnosis of the causes. a. Together with client’s representatives we establish the competencies to be assessed with 360° feedback methods. b. Based on the agreed competencies, HART consultants will propose the model of questionnaire to be used in the project. c. HART consultants will set in the CCi Surveys International system the final questionnaire, the email addresses of the respondents and the hierarchical links (direct manager, peers, subordinates). For each person who will participate at the assessment it is required a personal and unique email address and Internet access. d. The respondents will automatically receive in their inbox the invitation to complete the assessment. e. Automatically the system has the feature to send reminders to the persons who didn’t finish the assessment. f. Client’s representatives will receive periodically the status of completion of the questionnaires. g. Individual assessment results are generated by the system after completion of the questionnaires. h. Each participant receives, together with the individual report, an action plan template which is recommended to be completed with the direct manager’s supervision (see attachment). i. Optional: Each participant receives an individual feedback upon results. We invite you to discover more details on user groups and possible applications on the dedicated page of 360° feedback instrument. Hogan Assessments certification – a captivating session of learning and personal development. Thanks to the trainer for offering this experience and for your professional manner of conducting the course. The test results offer important information about human personality, being easily used in processes of personal development, leadership and recruitment.